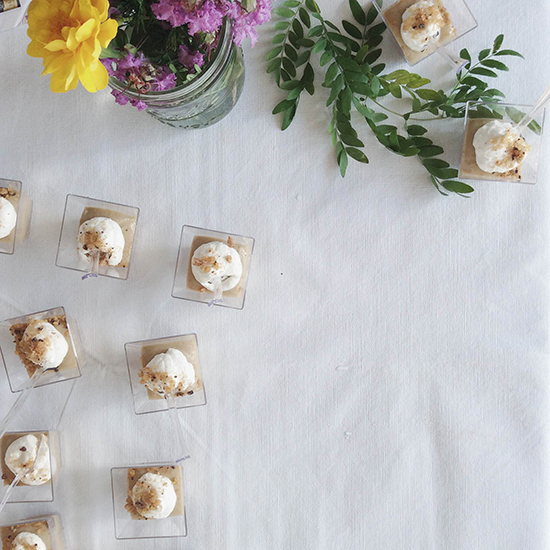 Photographer Beth Kirby captures Nashville's incredible food scene. 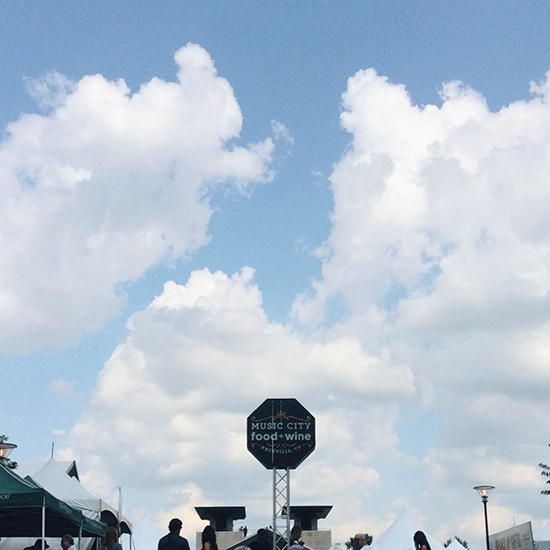 A perfect day in Nashville and Music City Food & Wine Festival is in full swing! And so is the smell of BBQ. Unsure about beef tongue? 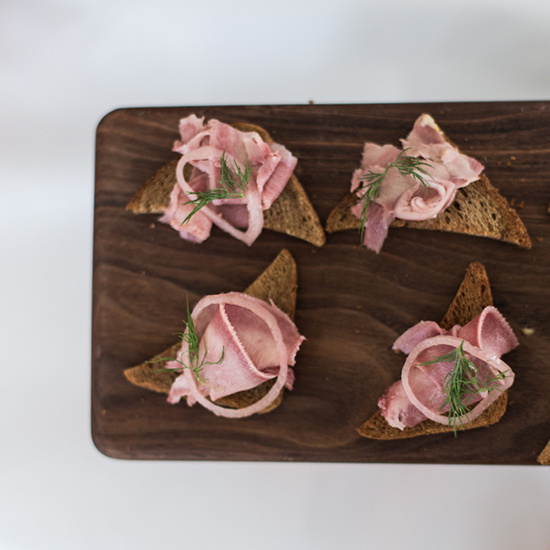 If you eat a bite prepared by Josh Habiger of Pinewood Social you won't be unsure anymore. 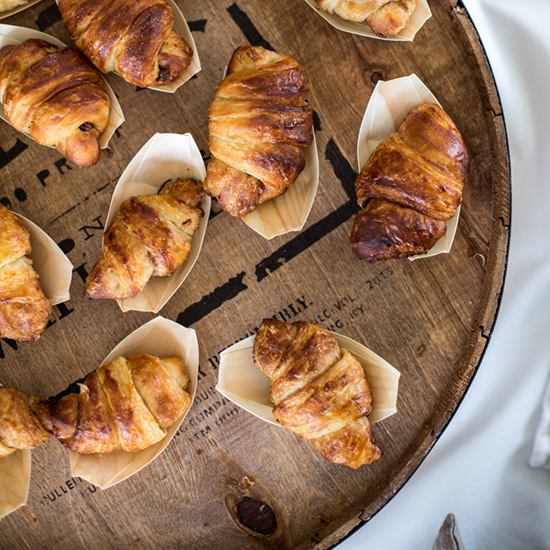 Flaky, buttery pecan and cinnamon croissants from The Farm House. 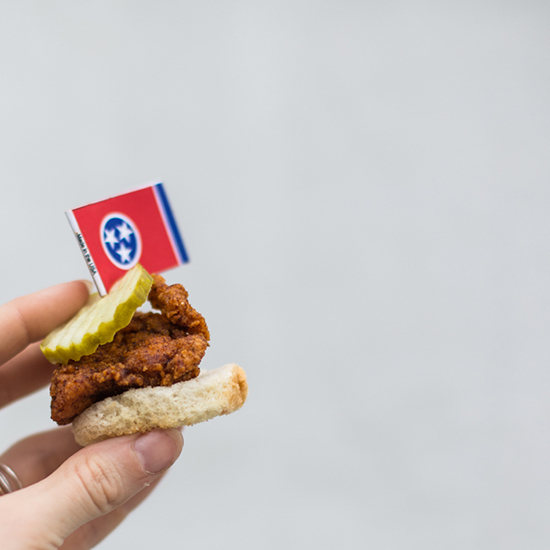 Spicy fried chicken sandwich from Hattie B's Hot Chicken. No one is wanting for libations! 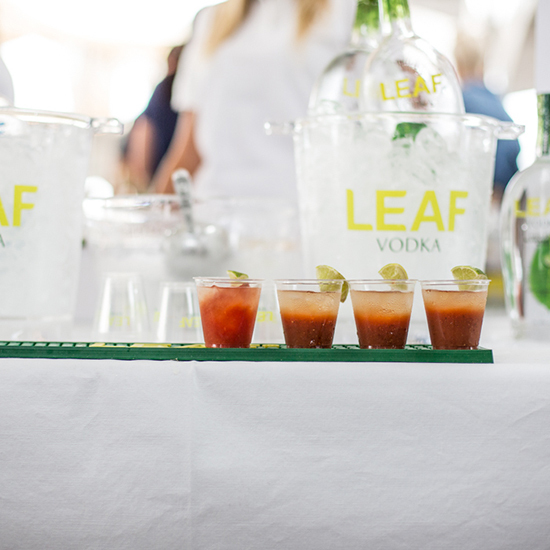 Bloody Marys are in good supply. 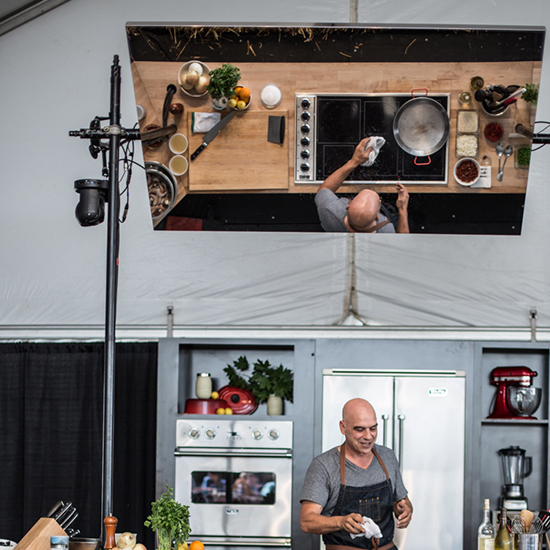 F&W Best New Chef '98 Michael Symon demonstrates how to make paella. This was my breakfast. 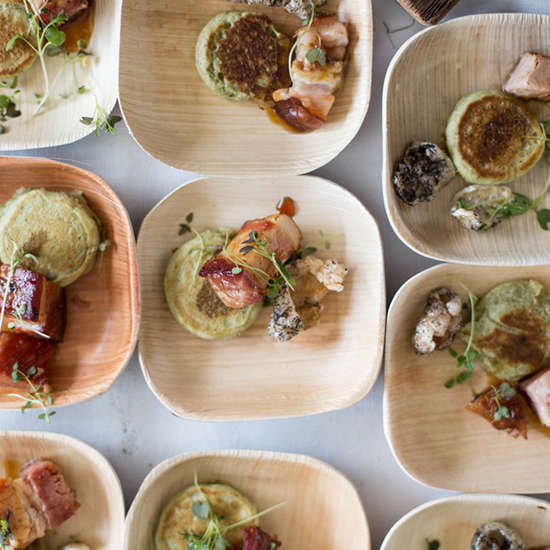 Pork belly, scallion pancake, with chicharron from The Farm House. 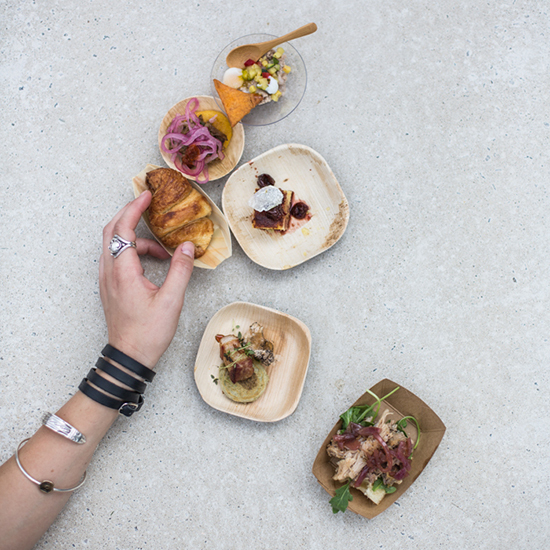 Small plates from The Farm House, Mangia, 1808 Grille, The 404 Kitchen and Tavern. 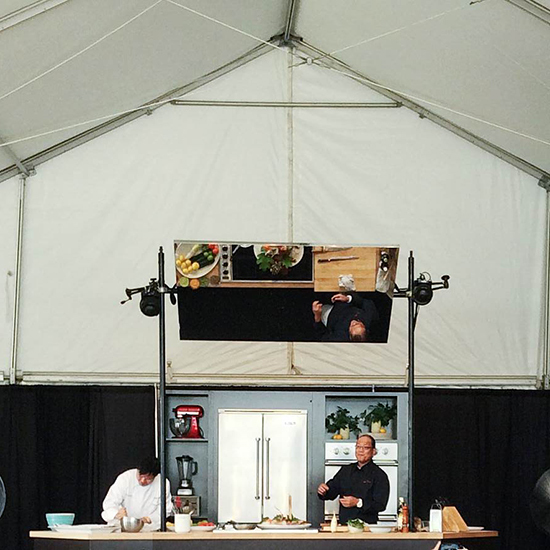 Chef Morimoto gives a demo at the festival. And he sings! 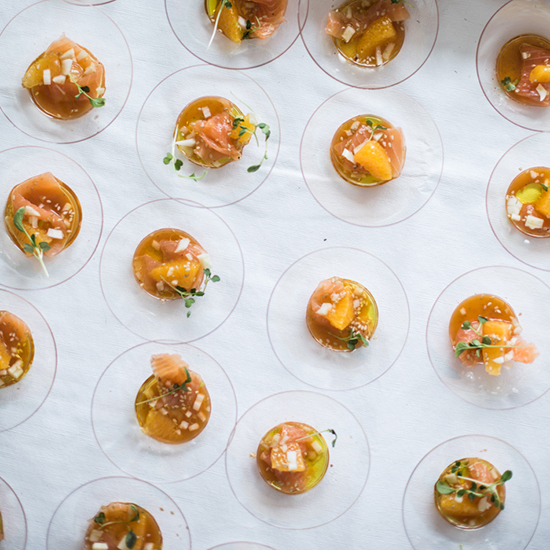 An extraordinary fresh, bright bite: sunburst trout, orange, fennel, & benne seed from Moto. 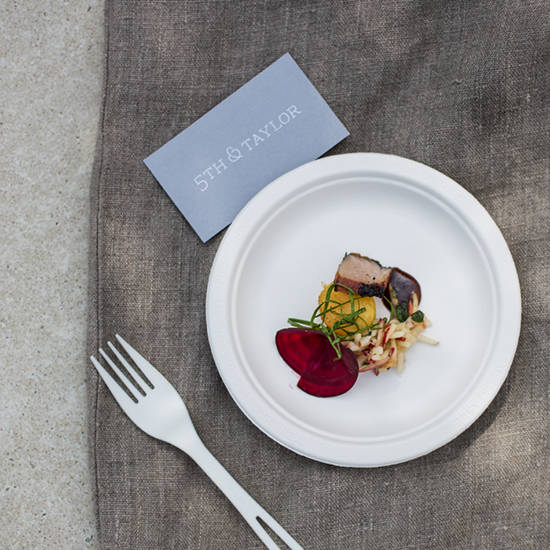 5th & Taylor's incredible dish featured fall vegetables, pork jowl, dates and balsamic. 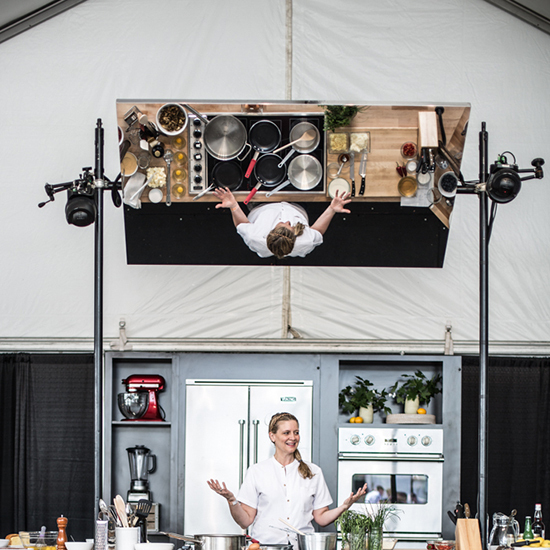 Amanda Freitag talks breakfast food, her new chef-driven diner, and an open face egg-and-cheese sandwich to die for. 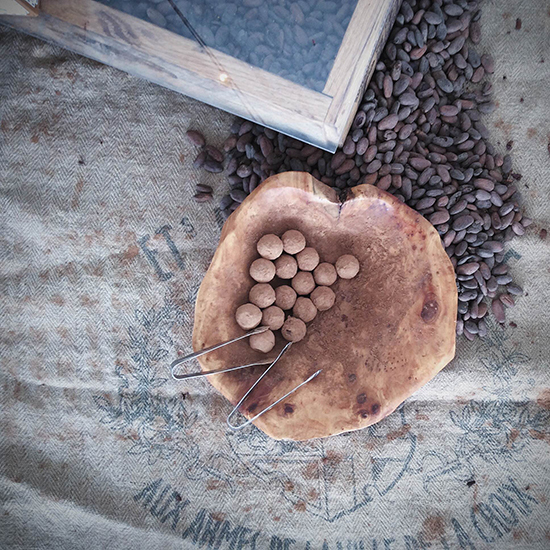 Truffles from Olive & Sinclair Chocolate Co. 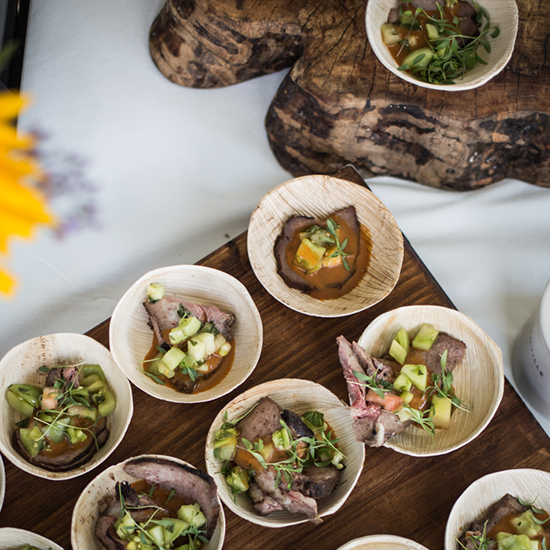 I loved this dish from chef Andy Little of Josephine: grilled sous-vide beef tongue, chile oil, micro cilantro. 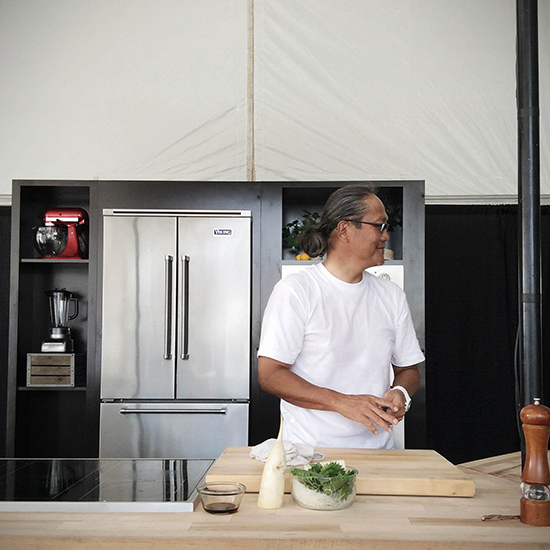 Another shot of the brilliant Masaharu Morimoto. 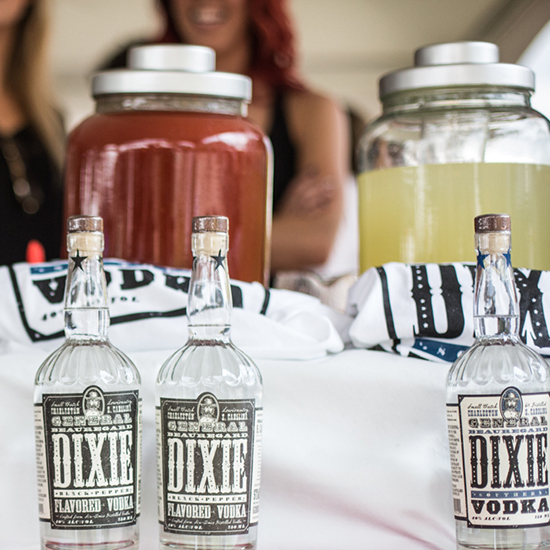 General Beauregard Dixie vodka is distilled in Charleston, South Carolina. 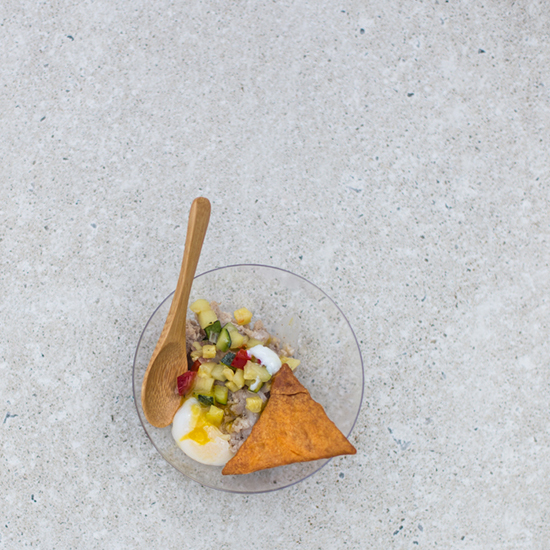 Pork rillette with a smoky bacon "cap," cheese cracker, local zucchini relish and a poached quail egg from Tavern. As beautiful as it is delicious. Amazing butterscotch pudding from Husk.